Bangkok – One of the key Special Economic Zones, the Eastern Economic Corridor (EEC) is crucial in transitioning from the current economic model to Thailand 4.0 according to a statement made by the Industry Minister. 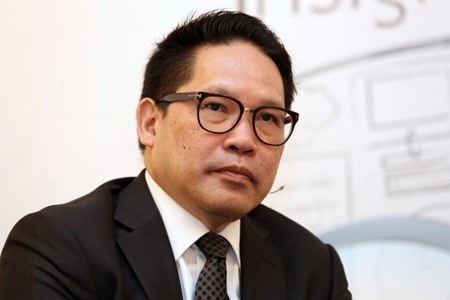 Industry Minister, Uttama Savanayana’s comment was made during the talks on EEC as a tool to boost the Thai economy and better connect the nation to the rest of the world. The minister said Thailand 4.0 agenda will increase the strength of the nation from the inside out. He also mentioned that the Cabinet has passed the EEC draft act, prior to approval of the bill by the National Legislative Assembly. Once approved, the act will instill stronger confidence among Thai and foreign companies in making investments in the EEC. The Track of the EEC act, which defines requirements, conditions, and procedures for investing in the area, will be revealed next week. The move is being accelerated to quickly seek investors for the first four major projects of the zone: the expansion of U-Tapao airport, the construction of a high speed railway project, the development of Laem Chabang seaport, and the establishment of an aviation maintenance center. These developments are expected to commence in the latter half of 2018.